With the signing of the Treaty of Rawalpindi in August 1919, the modern nation of Afghanistan was formed under Emir Amanullah. Just eight years earlier, an engineer formerly of the General Electric Company had arrived to build a hydroelectric plant near Kabul, becoming one of the first Americans to live and work in the country. His endeavors anticipated the moment of official contact between the two nations. In 1921, the Emir sent a delegation led by Mohammed Wali on a Western tour to solicit diplomatic recognition for his fledgling country. Upon their return, the envoys presented a letter that caused great excitement: greetings from President Warren G. Harding of the United States. To President Harding, as to most Americans at that time, Afghanistan was a mysterious and exotic land on the other side of the world. Harding’s salutation provided the initial spark for what would emerge as a long and fruitful relationship. This was characterized by successes – both large and small – mostly lost to history, but vivid in the memories of those who experienced them. From 1946 to 1978, massive infrastructure programs, including engineering and construction initiatives funded by the International Cooperation Administration (ICA) and the U.S. Agency for International Development (USAID), were a key component of American involvement in Afghanistan. 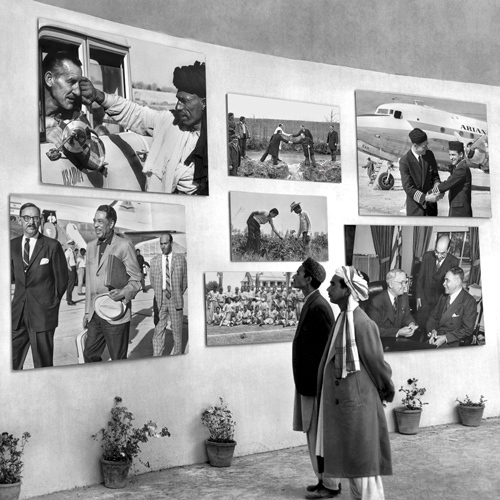 Simultaneously, official visits by dignitaries created the framework that sustained a burgeoning friendship. As of the early 1970s, the U.S. government had spent more than $500 million on assistance and development programs in Afghanistan, making it the recipient of one of the largest cumulative foreign aid efforts in U.S. history. Notwithstanding the importance of such development projects, education and cultural efforts emerged as the heart and soul of U.S.-Afghan relations because they brought people together as friends and colleagues. Numerous American teachers, engineers, doctors, scholars, diplomats, and explorers traversed Afghanistan’s rugged landscape where they lived and worked alongside its citizens. These visitors were moved by the majestic beauty of the country and unparalleled kindness of its people. Similarly, countless Afghans went to the United States for academic studies, training, employment, business, and official meetings, cultivating close connections with Americans. The ultimate goal of these partnerships was to create a group of Afghan professionals and specialized workers whose skills would benefit future generations. Americans and Afghans alike felt pride in their shared accomplishments. Today, nearly a century after that first American engineer arrived in Kabul, we remember not only the monumental undertakings, but also countless small moments of camaraderie. This exhibition offers a human perspective through photographs and documents that capture the essence of U.S.-Afghan relations. These seminal experiences in the lives of people from both countries, and the connection forged between the United States and Afghanistan, should not be forgotten.